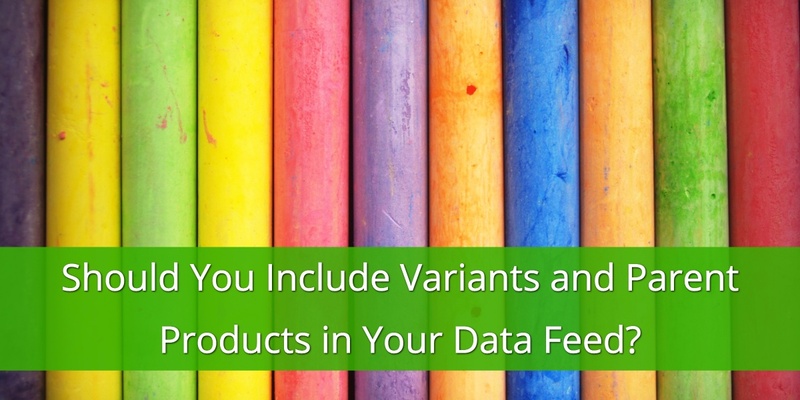 Should You Include Variants and Parent Products in Your Data Feed? 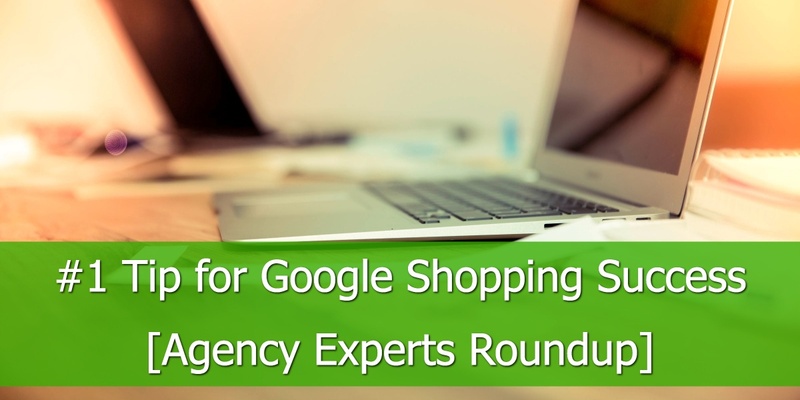 Should you include all variants in your data feed to Google and other shopping channels, or only the parent products? As a retailer, you have a choice. Let's review the arguments for 'variants' and for 'parents', so you can make an educated decision. Google defines product variants as a group of identical products that only differ by the attributes ‘color’, ‘material’, ‘pattern’, or ‘size’: A T-shirt (parent product) in 3 sizes and 5 colors may have a total of 15 Variants. Most shopping carts have a way to export all variants from your store. If only parents are exported, a tool like DataFeedWatch offers a way to generate a new feed with all variants, based on the information in the parents-only feed. You have fewer products in your source feed. That makes it cheaper and easier to handle. We have customers that have 1 million variants, but only 25,000 parent products. 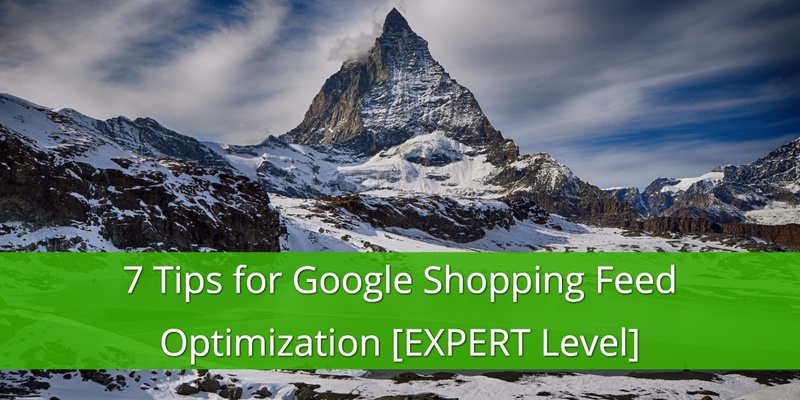 The cost of data feed optimization for 1 million products are often too high. But for 25.000 it is very affordable. Some channels only want to receive a feed with parent products. They need the variants-information as well of course, but they want to receive that with all colors (or all sizes, etc) in a single field. A good data feed tool like ours is able to 'merge' all variant-options into a parents-feed. Some variants cost more than others. That T-shirt may be $10 for all colors, but the XXXL is $12. Google compares all prices in the data feed with the prices on the Product pages. If that is not the same, Google will reject that product. Many shopping carts have 1 URL for all variants. And on that page there is only 1 price: the other prices will only show if you select another color or size from the pull-down on that page. So Google will end up disapproving all variants with a price that is different from the price of the 'default-variant'. So downloading parents only will prevent mass-disapproval if you do not have a unique URL for each variant. Some channels, like Google Shopping, require you to include all variants as a unique product. People may be looking for a red T-shirt. If you are not showing the red variant, your T-shirt will not show up in the search results. This may not be a big issue when it comes to size, but people do include stuff like color and material in their search queries. Channels like Google will not show products that are out of stock. The information about availability / quantity in your source feed is on variant level, so you have no data on parent level. Since you must add a value for each product, you have no other choice but to set it to ‘in stock’. This means that you will spend your advertising dollars on out-of-stock-products as well. 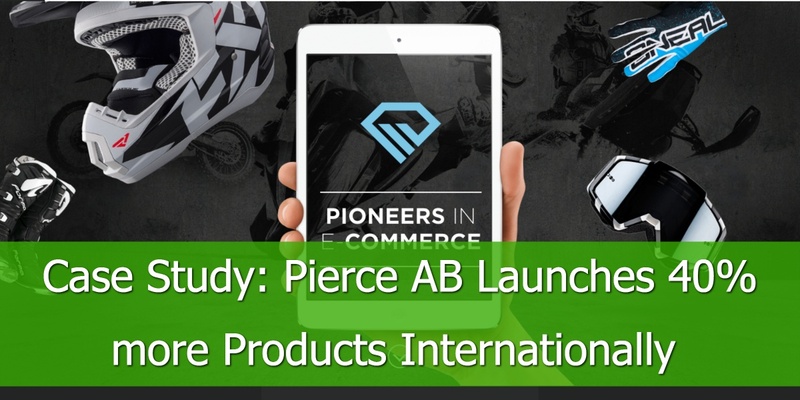 Prospective buyers may still make it to your product pages, but they will be quick to leave your page when they find out that you don’t offer what they were searching for. In most cases, we think that including Product Variants is better. Only go for Parents-only if you have so many variants that data feed optimization is unaffordable. The cost of presenting the wrong data about color, availability, and other variant-data will often outweigh the savings on your data feed. How to create a feed with All Variants OR Parent Only? That is simple: Ask us! 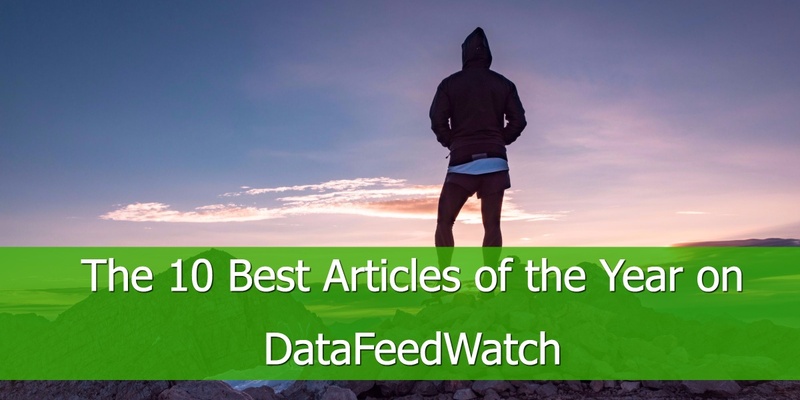 Mail us at support@datafeedwatch.com and we will switch it on for you.